Kelowna sits on Okanagan Lake in British Columbia’s Okanagan Valley. The climate is hot and sunny in the summer, sunny and mild during the winter. It makes a perfect escape for those seeking reprise from the moist Pacific Northwest climate. 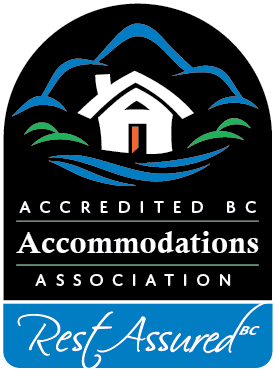 Find a Kelowna Bed and Breakfast to be a home away from home. Thanks to the lovely climate, outdoor recreation flourishes here year-round. Winter sport enthusiasts love the deep powder, and flock to a number of ski and snowboard areas. Miles of cross-country ski and snowmobile trails traverse the region. And anglers don’t need to put away the poles when the temperatures drop – there is ice fishing here as well. Kelowna has nearly a dozen golf courses, for the climate makes it possible to golf most of the year. And since Kelowna sits on the shores of Lake Okanagan, all manner of water sports are extremely popular. The wine industry of Kelowna and BC’s Okanagan Valley has flourished in recent years. As a result, there are numerous wine events and festivals. The Annual in October offers a unique opportunity to witness the harvest and crush. The Annual Okanagan Spring Wine Festival in May is a delightful culinary event that brings outstanding wine together with a wide variety of cuisines. 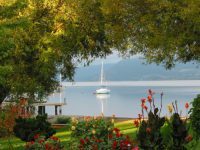 Spend some time any time of year at a Kelowna BC Bed and Breakfast, visiting local wineries, learning which wines pair best with which cheeses, and indulging in evenings of wine and chocolate. Wineries and Golf Courses just minutes away and your own private beach, wow, what more could you ask for? 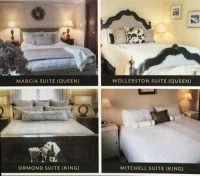 The Lakeshore Kelowna Bed and Breakfast in the Okanagan Valley welcomes you to first-class luxury with two spacious guest rooms, queen size beds and private ensuites. Each room has satellite TV. Opened in March 2012,our B&B is centrally located to downtown Kelowna and all its amenities, close to the beach and close to the hospital. We have free parking,free WIFI, a wheelchair accessible room, and a peaceful quiet stay. We try to make you as comfortable as possible and meet your needs. West Kelowna’s Apple Blossom Bed and Breakfast is your home away from home. Beautiful majestic views of the mountains vineyards, and sparkling Okanagan Lake.